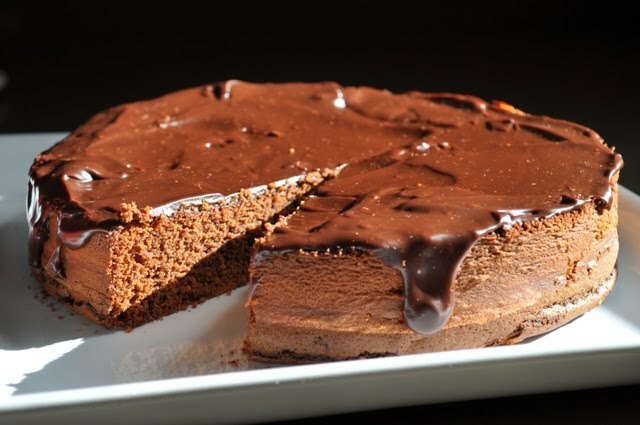 Chocolate torte with booze in it. That's what a speakeasy is. The recipe calls for 2/3 cup of brandy, which is a pretty hefty amount, but I just couldn't bring myself to use it. I'm not generally a fan of liquor flavor in my baked goods. But I didn't totally bail on the booze, I used triple sec (orange flavored liquor) instead. It turned out to be a nice substitution and complimented the chocolate and cinnamon in the cake. Next time I would add a little orange zest too. For me, the real star of this show was the chocolate ganache...absolutely divine and the perfect finish to the speakeasy. The recipe was a little confusing...it said to butter and flour an 8 x 2 inch cake pan lined with parchment but then toward the end it tells you to remove the cake from a spring form pan. Which is is it? Cake pan or spring form? I went with the cake pan because it's 8 inches and my spring form pan is 9 inches. 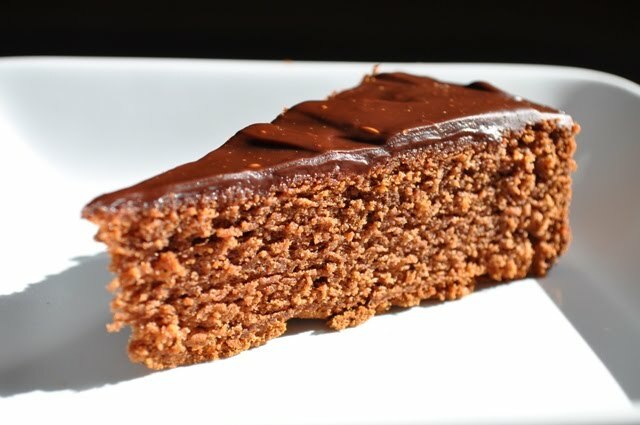 It actually turned out perfect because I had enough left over batter to also make a 4 inch cake for the next SMS pick, the Sacher Torte, which is a very minor variation on the speakeasy. 2 birds with one stone. High five! Check back in 2 Sundays for the Sacher Torte. 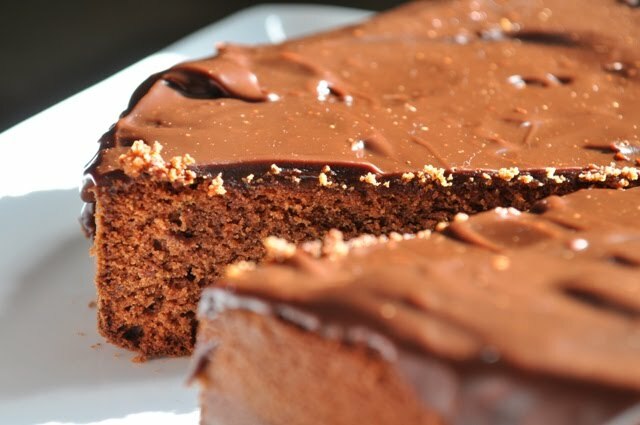 Melissa Murphy's recipe says this should be baked for 80-90 minutes and it should not be tested before 70 minutes for fear of deflating the cake. Mine was definitely done at 70. Like you could give a little knock on the top of the cake kind of firm. I think I should have checked at 60. Even though I was worried it was overdone, the inside was soft and moist (enough). For the recipe head over to Jeannette's blog, The Whimsical Cupcake. Thanks for hosting this week Jeanette! To see how other SMS bakers did with their speakeasies click here. Props to my sister, Katie, who helped make the speakeasy every step of the way. Thanks sis! No problem! It was fun and delicious! Awesome pictures btw. I'm glad I'm not the only one who noticed the pan discrepancy. I went with the springform so I wouldn't have to worry about trying to release the cake from the pan :) Your speakeasy looks perfect, and I love your triple sec substitution - orange and chocolate are a perfect combo! Great substitution. We actually tried our last night and despite the crunchiness it was soft on the inside and I didn't taste the brandy. Looks delicious! I noticed that error in the recipe too. I also was thinking of using an orange flavored liquer when I make this. your speakeasy looks scrumptious!! i found the confusion as well, so i'm glad i read it before i started! thank you for baking with me!